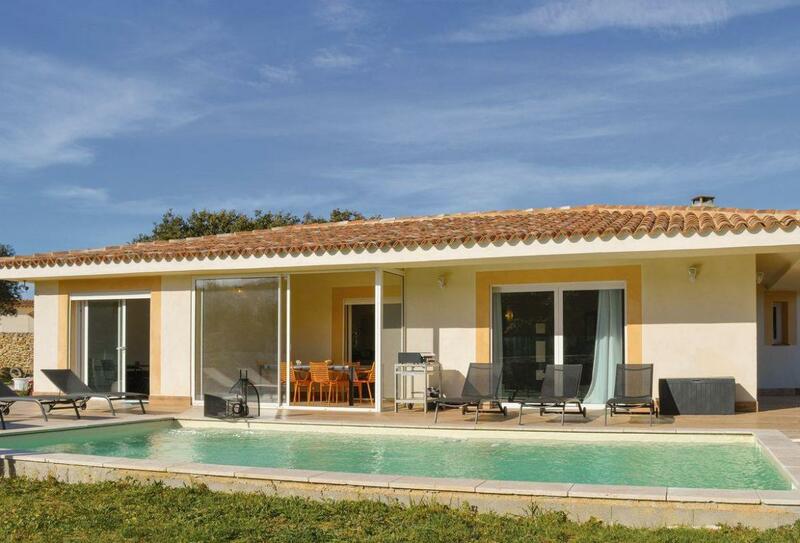 Beautiful 4 bedroom holiday home to comfortably sleep up to 8 near Ajaccio, Corsica. Ideal for a family holiday, this self catering home offers a wonderful private pool area with sun loungers and is only a short walk or drive away from the blissful Mediterranean beaches and has everything to make your holiday unforgettable! Air conditioning. On site parking. Cot available. Pets not accepted. Living area: With tiled floor and 2 French doors leading to terrace. Dining area: With wooden floor and French doors leading to terrace. Kitchen area: With gas cooker, microwave, fridge/freezer, dishwasher, coffee machine, washing machine and tiled floor. Bedroom 1: With double bed, tiled floor and en-suite with shower cubicle, toilet and heated towel rail. Bedroom 2: With double bed, tiled floor and en-suite with shower cubicle, toilet and heated towel rail. Bedroom 3: With double bed, tiled floor and en-suite with shower cubicle, toilet and heated towel rail. Kitchen: With electric hob and fridge. Bedroom 4: With double bed, tiled floor and en-suite with shower cubicle, toilet and heated towel rail. Electric heating. Wi-Fi. Cot. Enclosed lawned garden with terrace, garden furniture, sun loungers and BBQ. Outdoor swimming (private, 32m², open all year). Private parking for 4 cars. No smoking. Please note: Sorry, no hen or stag parties.